“The government risks breaching an international agreement if it goes ahead with a controversial nuclear waste dump in a remote part of the Northern Territory, conservationists say, with Labor Senate candidate Nova Peris calling for the plan to be dropped. Conservationists claim that the Muckaty dump, near Tennant Creek, would be in contravention of the UN declaration on the rights of indigenous peoples, which states that nations must “ensure that no storage or disposal of hazardous materials shall take place in the lands or territories of indigenous peoples without their free, prior and informed consent”. The basis of this consent is currently being challenged in the federal court, with a directions hearing set to take place in Melbourne on 26 August. Opponents of the dump have waged a lengthy battle against the Northern Land Council, responsible for nominating the Muckaty site, which they claim didn’t have the full consent of Indigenous communities before striking a $12m deal to choose the location eight years ago. Gary Gray, the resources minister who recently visited the site, told Guardian Australia that the government would not push ahead with the Muckaty site until the case was resolved. Anti-dump campaigners have welcomed this, given that the case could take several years to conclude. 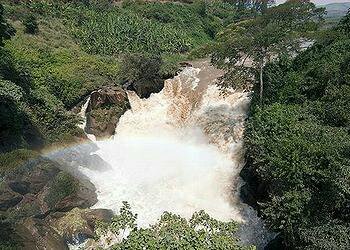 The World Bank has approved US$340 million for the long-planned Regional Rusumo Falls Hydroelectric Project, which will generate power for residents of Burundi, Rwanda and Tanzania. 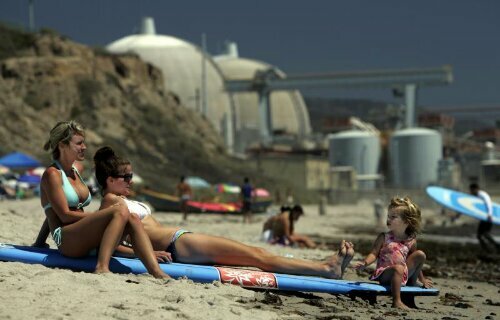 “Unlike the reactor cores, the spent fuel pools are not protected by redundant emergency makeup and cooling systems and/or housed within robust containment structures having reinforced concrete walls several feet thick,” Dave Lochbaum, director of the Union of Concerned Scientists’ Nuclear Safety Project, told senators. 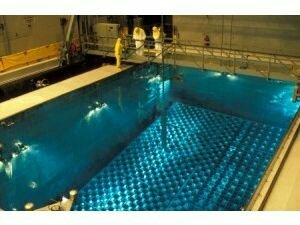 These “spent fuel pools” were initially designed to hold about one reactor core’s worth of fuel, Lochbaum said. But since the feds have failed miserably to fulfill their promise to permanently dispose of this dangerous waste, some pools are holding up to nearly nine times that amount. Finally, there is a glimmer of hope that – more than 30 years after the Nuclear Waste Policy Act passed, and 15 years after the feds guaranteed they’d start accepting the waste – paralysis and dithering might give way to action. “Nevadans have a right to be safe in their communities and on the roads, and I am not convinced DOE has a plan to import waste to Nevada that meets this basic threshold,” Heller wrote. DOE spokeswoman Lindsey Geisler said the agency received Heller’s letter and is reviewing it. “The Energy Department will continue to work with Congress and the state of Nevada to resolve these concerns,” she wrote in an email Thursday. Gov. Brian Sandoval has objected to DOE’s plans to haul bomb-usable, uranium-laced waste from Oak Ridge National Laboratory in Tennessee for disposal in a shallow landfill at the security site, 65 miles northwest of Las Vegas. Disposing of the ton of waste containing atom-splitting uranium material and one isotope that decays into a form that emits deadly gamma radiation “sets a dangerous precedent,” Sandoval wrote in a June 20 letter to Moniz. Contact reporter Keith Rogers at krogers@reviewjournal.com or 702-383-0308. Not debunking climate change but explanation necessary as far as ice ponds normal melt. Photo from K. Hansen. 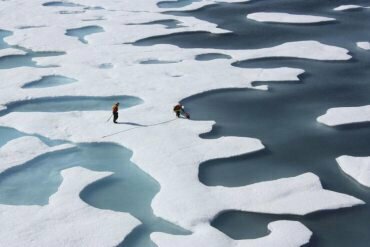 “The formation of melt ponds has always been a key feature of the summer season on sea ice,” the statement said, before going into a lengthy explainer about how such ponds come to form, before getting down to brass tacks and addressing the question: Was the pond caused by global warming? The recent hullabaloo over the North Pole melt pond is similar to what happened back in July when bloggers and other media latched onto a near-cloudless satellite image of Alaska, a once-in-a-blue-moon photograph taken during this summer’s record-breaking heat wave. In that case, as well, pundits ignored long-term trends and instead relied on a single poignant image to make their point. Meanwhile NOAA’s 2012 “State of the Climate” report, released this week, highlighted another record-breaking instance in the history of the Arctic — last year’s low ice extent, which surpassed the previous record with weeks left in the summer melting season. Global surface temperatures in 2012 were about 0.3-degrees above the 1981-2010 average, making 2012 among the 10 hottest on record globally. Meanwhile, last year’s Arctic sea ice extent joined other recent years as among the most dismal. Oddly enough, the one region not suffering from extended ice decline is the Bering Sea in winter, which has frozen fast and caused problems for industry vessels and subsistence hunters into the summer months. The Arctic ice pack this year so far is looking more promising, with the National Snow and Ice Data Center reporting that melt was a little behind the record-shattering 2012 rate, at least in early July. The center also warned, though, that July is the most aggressive month in terms of ice melt, and air temperatures in the first half of July were 2-9 degrees above normal across much of the Arctic. Curiously enough, despite that epic heat wave around Alaska, including one of the warmest months on record for Barrow, America’s northernmost city, the ice in the waters surrounding Alaska remained the most stubborn in the entire Arctic Ocean. 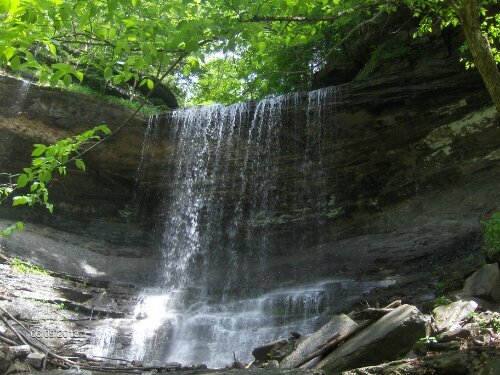 Located in the 1483 acre Labrador Hollow Unique Area is the beautiful main 50 foot Tinker Falls with its impressive natural rock amphitheater above a 30 foot rocky cascade. The falls are most spectacular during the spring thaw and after a major rain storm. The falls can be reached for viewing from a short accessible trail from NY 91. A large parking lot off NY 91 marks the trailhead for Tinker Falls. It is located south of Labrador Crossing Road, just south of the Onondaga/Cortland County line on the west side of the road. The GPS coordinates are N42 46.820 W76 02.182 for the parking area. This is also the trailhead for the Skyline Trail, the “Hang Glider Spot on Jones Hill” and the North Country National Scenic Trail, which actually passes nearly directly above the waterfall. The Tinker Falls Trail begins across NY 91 at the kiosk. Handicap parking is available on that side of the road where the trail begins. The accessible trail follows along Tinker Falls creek, which is on your right as you walk along the path. You may notice the steep walls begin to surround you as you get further away from the kiosk. A few benches are available along the trail for those who’d like to take a break. The trail is very easy with a very gentle grade and can be enjoyed by everyone in your family. The accessible trail ends at 0.25 miles from the kiosk. There is a partial view of the falls from here. Many people walk up further through the slippery stream bed to get closer to the falls and even behind the falls. You do this at your own risk of serious injury. Remember that the rocks are very slippery and can be dangerous. Look up above the falls and remember that the North Country Trail is located just beyond the top of the falls on its long journey from North Dakota to Crown Point, NY. Excerpt form Buffalo News article by Dan Barletta. Another round of discussion on impact of low water levels on Lake Ontario. ” Further in his essay, Howe cites dollar values that seem to say that this aberrant plan would provide millions of dollars in benefits. What he fails to state is that the low water periods would be devastating to the $94 million-per-year sports fishing industry along the south shore, or that the estimates for property damage along this shore have been shown to be two-to-three times greater than the plan states. Most private property damage is undervalued and damage to public lands and infrastructure is not even evaluated. Water intakes, sewer systems, roads, bridges, power lines and other sensitive infrastructure might be at risk from drastic man-made level changes on both the high and low side. An example of the failure of the commission to properly evaluate the potential economic losses is in the Town of Somerset. This town has more than $400 million in public assets that were not included in the damage estimates in the original study by the IJC. This plan was created behind closed doors with the environmental interests and no other interest allowed in. We commend the elected representatives of the province of Quebec for standing up to the IJC and stating that they would not accept any more damage than what occurs to their part of the system under the current plan. But we are dismayed that New York State representatives would allow this damage to occur to their citizens. The IJC needs to return to the drawing board and come back with a more represented plan.